The proposed amendments give effect to the changes to the 19th Amendment agreed to by the Cabinet after the 19th Amendment Bill was Gazetted. According to the new amendment, the executive presidency will be abolished but the President will have certain powers. The President will no longer be the Head of Government. The phrase “Head of Government” will not appear in the Constitution, which was the case during the Soulbury and First Republican Constitutions too. Where the President does not agree with advice given to him by the Cabinet through the Prime Minister, he can ask the Cabinet to reconsider advice given. If the Cabinet does not change the advice given, the Prime Minister must inform the Parliament. Thereafter, the view of the Parliament will prevail. Also, the President will have the power to summon the Cabinet to discuss any matter of national importance and will chair the Cabinet so summoned. 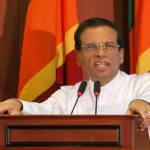 President Maitripala Sirisena will preside over the Cabinet during his term of office. He will work in accordance with the decisions made by the Cabinet. b) Those who have not so charges or no fears to face it by their conscience, they have guts to rally round to anyone that will bring amendments. 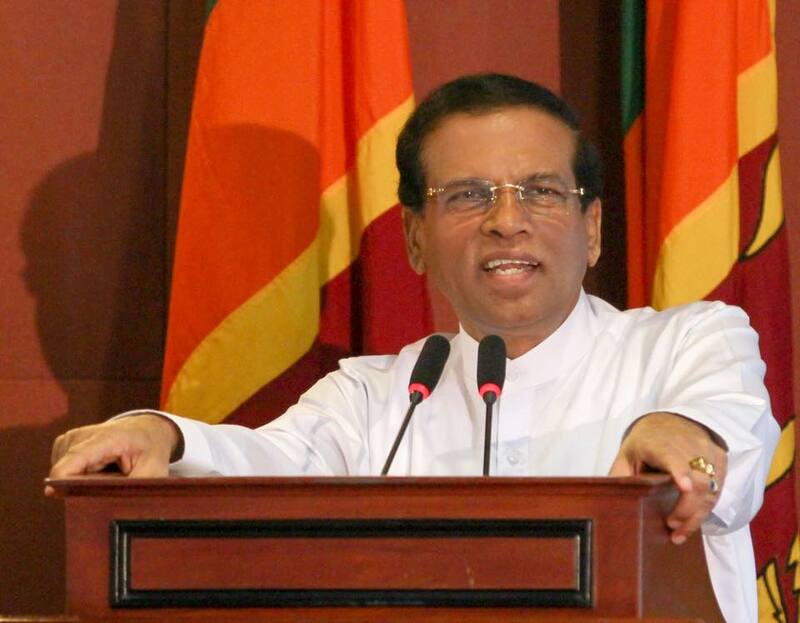 Having listened to Regi Cooray s thoughts added to Satana dated 28 March 2015 – I agree with the fact that many shout at … but the ones within the parliament are the ones who are able to do the job – so that is the reason why them to join and stand by today ‘s prez. Regi clearly says, Journalists and NGOs can criticise anyone perfectly.. but those who are bound to a goverment cant do so. That is the reality… we are all aware that JVP and JHU aer doing a great job, but politics of developings nations are not easy at all…. And the fact that govt has got UNHRC session put off upto September is a great achievement – else, balige puthas would have to face it like or not. These should be clear to former street gangsters like THunmulle Wimale. : If I were any powerful one in the current govt, I would do everything to corner Wimal Buruwanse et al: This you can do if law and order is above everything. In Germany in the aftermath of the planecrash, the law prevailing has all rights to investigate pilot’s since the law is law. Thanks CT for publishing the changes to the 19th amendment . Both the 19th amendment and the changes to electoral system, have to be enacted quickly. An independent commission of eminent persons to propose a comprehensive new constitution should be appointed by the new parliament and government, after the General Elections. The 19th amendment should only serve as a bridge to the new constitution. A indep com of eminent persons to propose a comprehensive and enduring constitution is no doubt the best way to go about it. For such a principled approach to constitution making, a sine qua non would be principled politicians. Given the nature of the current class of politicians, this mixed presidential prime ministerial system will be source of unending feuding. What is to stop the president on deciding that even the most trivial matter is “of national importance”? He can then summon and chair cabinet meetings at will. It is my preference that it ought to be one system or the other and not mix. Never mind Srisena and co are not showing much interest in finding the white van culprits because the affected people are not from their family. Now your brother is affected by the same thugs. Please find them and provide a special punishment which should be a big lesson for all other thugs. Srilanka became a common place for killing 1957 to 2009 , JVP killing , killing a mentally ill person at the Bambalapity sea, and many others. Please put a stop. If the people who get elected to the Parliament come with the intention of serving the country and the people there is no need of all this ” kes palena tharka “. Rulers should not only be honest but explain to the public why they do what they do and the possible consequnces and results. Whatever the results of this “constitution engineering” maybe, the reality for tamils will be that they will continue to be under the jackboot of the army. The resettlement of internally displaced tamils, even after six years, is being obstructed by the army. These news do not make headlines elsewhere. We knew that certain decisions made by the Cabinet in regard to Amendments were not included in the Gazetted notice. Now it appears those (omitted by oversight) have been included. Hopefully, that draconian “18th” has been deleted altogether. That is very essential and hope it will no be somewhere “due to oversight”. I reiterate this, because there is still a “well planted” bureaucratic mechanism in operation, well proved by the original Gazette notification of these Amendments. Since there is virtually no “Opposition”, we expect, the JVP and JHU to look into this aspect. The others in the UPFA are busy on a “Contract Job” to bring back Mr.MR and the have no other interest to work for our benefit. Word `he’ is used in various instances specially in clause 92. One wonders whether only males live in Sri Lanka. ????? This guy is back again with his dreams of splitting UP using Sajith. He is further dreaming of putting together MR and Sajith and again trying to bring a wedge between RW and MS. I don’t understand why this mad imagination from DR. He is degrading himself with every article he writes in the CT with practically every reader is critical of same. What is the use of his articles when he could not convert even a small percentage to appreciate same. It is best he takes on some other job for living or pastime.